Established in 1945, KasikornBank is the fourth largest commercial bank in Thailand as measured by total assets. KasikornBank (formerly known as Thai Farmers Bank) provides a broad range of consumer, commercial, and corporate banking services. These include lending, deposit–taking, credit card services, international trade financing, custodian services, asset management, and investment banking services. For more information you can visit https://www.kasikornbank.com/. Known as Bangkok’s largest private bank, the bank offers a full range of banking products and an extensive distribution network with more than 600 branches, Internet banking, phone banking, and self–service ATM and Express Banking machines. To know more about their services, you can log on to http://www.bangkokbank.com/. TISCO Bank Public Co. Ltd.
TISCO was established in 1969 as the first investment bank in Thailand. Tisco Bank started its commercial banking operations on July 1st, 2005 with its head office located at Tisco Tower on the North Sathorn Road and 14 branches in strategic locations nationwide. Visit their official website at http://www.tisco.co.th/. Siam Commercial Bank Public Co. Ltd.
With over a hundred years of service, Siam Commercial Bank offers Personal banking services such as Thai baht deposits, foreign currency deposits, international remittances, currency exchange, fund management, internet banking, consumer loans, life and accident insurance. They also do quality business and corporate banking. Visit their website at http://www.scb.co.th/. Kiatnakin Bank Public Co. Ltd.
Kiatnakin Bank, a recently established bank, offers expertise in consumer loans, residential project loans, commercial and industrial loans. They also excel in core commercial services at its more than 20 branch offices. Visit http://www.kiatnakin.co.th/ for more information. The largest government–run banking network operates with a vision to make BankThai a bank operated by Thais and for Thais with a professional management team offering quality banking services. Log on to their official website at http://www.cimbthai.com/. Paragon Partners are a market leader in the areas of debt advisory, mergers and acquisitions, private equity and special situation investments. Visit http://www.paragonpartners.net/. Since 1859, Brink’s has become the world’s largest and the most reputable security transportation company. To find out more about their legacy of banking excellence, log on to http://www.brinks.co.th/. Krung Thai Bank offers a wide range of products to meet the financial needs of personal customers, commercial establishments and all categories of clients. Log on to http://www.ktb.co.th/ to find out more. Aeon Thana Sinsap (Thailand) Public Co. Ltd.
Aeon Thailand offers financial services, including credit cards, hire purchases, personal loans and more. For more details you can visit http://www.aeon.co.th/. Sage Capital is an SEC–approved financial advisor. Has an extensive network of institutional investors, commercial banks, securities firms, and professional services firms, which helps them offer more quality services. Visit their official website at http://www.sage-capital.biz/. The Bank of Thailand Act promulgated in 1942. Log on to https://www.bot.or.th/ to find out more. Log on to their official website at https://www.grantthornton.co.th/. For more information on the financial services of Hong Kong and Shanghai Banking Corporation Ltd., you can log on to http://www.hsbc.co.th/. Sukhumvit Asset Management Co., Ltd. (SAM), was founded and wholly-owned by the Financial Institution Development Fund (FIDF) to manage and resolve approximately 500 billion baht of non–performing loans. Interested parties may know more at their website: http://www.sam.or.th/. Offers deposit savings, life insurance deposit schemes, loans, premium savings certificates and more banking services. Visit https://www.gsb.or.th/. 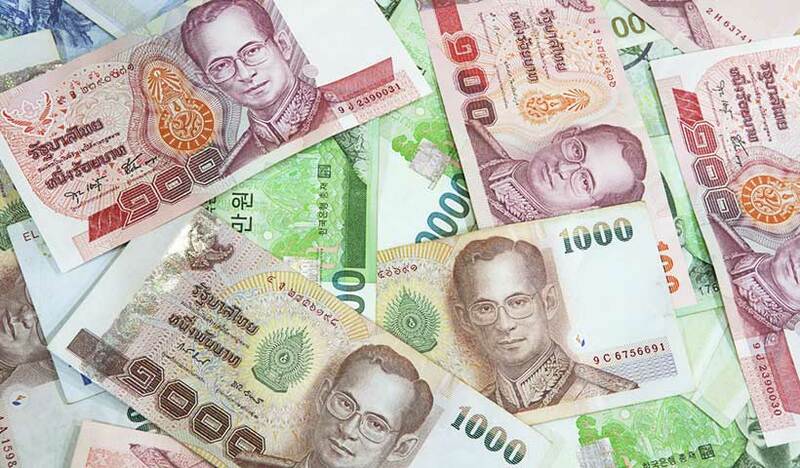 EXIM Bank can offer short–term as well as long–term credits, either in domestic or overseas markets, in Baht or any foreign currency denominations. To find out more, visit http://www.exim.go.th/. The Thai Bond Market Association (ThaiBMA) is a securities business related association under the Securities and Exchange Commission Act B.E. 2535. Its main purposes are to serve as a self–regulatory organization (SRO) for a fair and efficient operation of the bond market and to be an information center for the Thai bond market. Log on to http://www.thaibma.or.th/ for more information.